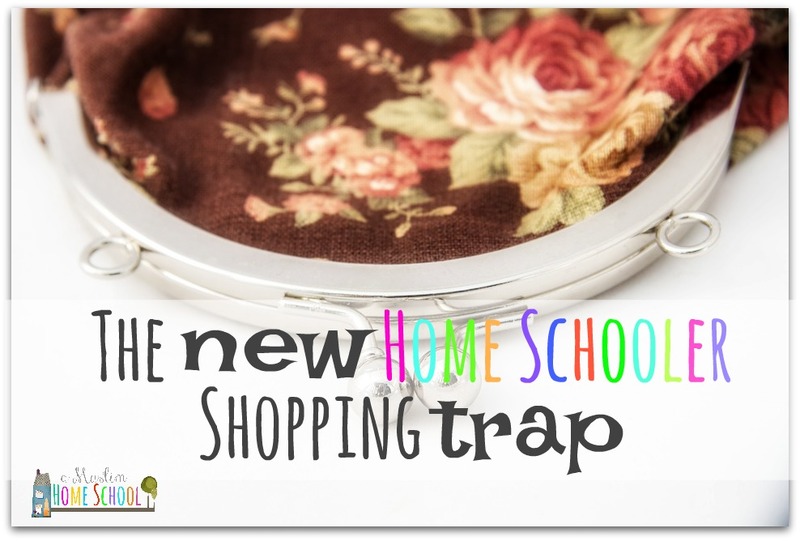 a muslim homeschool: Home School Shopping...The "new home schooler trap!" Home School Shopping...The "new home schooler trap!" After months of research, months "discussing" with my husband how amazing it would be to home school our children, months romanticising how fun it would be if only he would agree....finally I hear these words with a serious look "Khadeeja is not going back to school!". My heart jumped out of my throat! Really? We are going to home school? You're kidding... right!? I remember questioning every home schooling mum I met, asking "how do you do school?". I'd find myself trailing blog after blog, buying book after book desperately trying to reach someone who could tell me what we were meant to do now. I still remember the panic the day our 4 year old was supposed to return to school after the winter holidays, and instead she was staying at home with me! I remember sitting at the kitchen table trying to do something "schooley" because that's what we were meant to do now....lets make something to stick on the walls to show we have done something.... accomplished something....learnt something! Amazon and ebay became my companions, as I'd search for education resources to build our new home school with cool stuff I'd seen other home educators and bloggers use.....you can't have a home school without manipulatives and curriculum, weighing scales, fraction resources, alphabet letters, puzzles, crafts and pens....not to mention the Montessori beads, boards and games... we have to get everything! ......Yes, I had fallen head first into the "new home schooler trap" .....just like many have done before me, and many will continue long after me! The trap which preys on the naivety and eagerness of a new home schooling mother.....a ghastly combination for anyone's situation. So what exactly is this New Home schooler trap I speak of? Those of you who have had your turn in this wobbly pit will smile nervously as you look back at your own naivety and the empty purse which followed. Those of you who are new to home education or are considering it, let me try to save you from falling into the same hole the rest of us did (well, excluding the more sensible amongst us). For the majority of us, when we think home education....our first thoughts return back to school. That's what we know. That's where we went as kids. And what do we remember schools have? Classrooms. And what do classrooms have? Stuff....lots of learning "stuff" we have to get if we want our kids to learn...right? ....Wrong. The temptation when you start out home educating, is to buy all this stuff and lots of it; manipulatives, curriculum, crafts, books....everything to help your children learn. Yet what tends to happen is, most of us don't really know what we are buying, or rather why we are buying it for. We know we need something, but not quite sure what, so we will buy everything, because everything looks totally amazing, and everything is recommended by someone. Take for example Montessori beads. When I started home schooling, literally everyone I seemed to know, were doing Montessori. Even when I looked online, home school bloggers were doing Montessori. So what did I do being someone who had no idea where to start in teaching a 4 year old maths....I invested in Montessori materials because they made sense when all these people explained it to me. It wasn't until later, when I gained some confidence, and understood home schooling better, that I realised you can get manipulatives that teach maths just as well as the Montessori beads but so, so much cheaper. (Base ten blocks come to mind). Sure, there are somethings you will need to go out and get for your home school, obvious things like pens, pencils, paper. But the rest....just be patient, wait. Look around. It takes time to figure out what you really need so don't hurry into panic buying. What tends to happen is we will buy tonnes of resources we think we need, because we like the look of it, but in reality we will never end up using them - or we buy too expensive simply because we didn't know something similar was available for half the price. Relax. Slow down. Put your handbag away and do your research before you part with your families hard earned money. You will buy, and the shops won't be empty when you do....trust me. So take your time and figure out just what you genuinely need. Oh this is a great post that I'm going to send to all the new homeschoolers I know. Manipulates are so neat, but really you can make your own or just use LEGO. I've tried to save up for spending on awesome classes or something big! Definitely agree on saving for something big or awesome classes .....some things we will just need to get, but there's usually always a more economical way if we know exactly what we want and why we want it first.